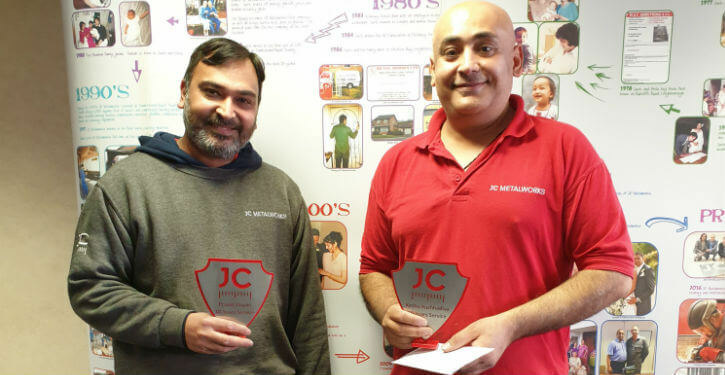 This month, two of our employees, Pravin Thanki and Keshu Kuchhadiya, have reached the milestone of 10 years of service with JC Metalworks! 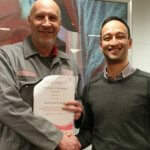 Both employees received a shield award, specially designed by our Apprentice Engineer, Theo Pritchard. Read on to learn more about their time with us and their hopes for the future. Pravin Thanki joined JC Metalworks on the 1st of April 2009 aged 29 years old, and has since enjoyed 10 successful years with the company as a forming setter/operator. He is happily married with one child, and in his spare time he is interested in computing. 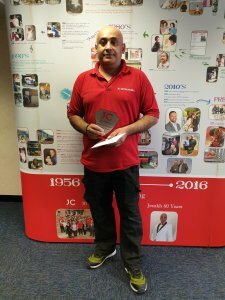 When Pravin moved to England, his previous experience in a bolt bearing factory in India, combined with his keen interest in engineering, meant that JC Metalworks was the ideal company to work for in order to grow and develop his skills. Pravin has been a forming setter/operator since his beginnings with JC Metalworks in 2009, and has lent his expertise to many other departments over the years. He has been extremely proud of his work within the department over the last decade, stating that “forming is the most critical job” as part of the process, adding that he enjoys the responsibility of making the final touches and problem solving, complementing the design and engineering work of other departments. 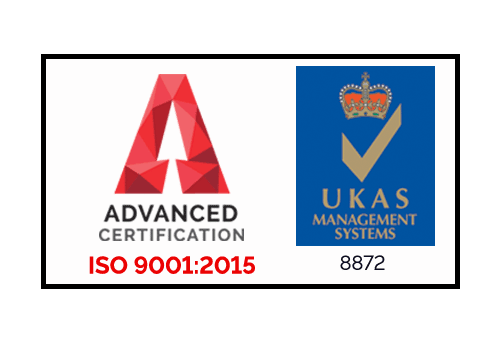 As well as building upon skills gained in his previous experience in India, Pravin has also developed many new ones through training. “I learnt how to use lots of machines, such as how to operate Amada Machine, LVD, Salvagnini, Haeger Machine, Spot Welding, Drilling and Rolling Machines.” Pravin describes his personal highlight as receiving forklift training within his forming work, further evolving his expertise. 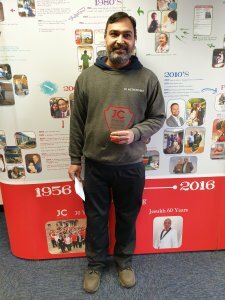 Outside of developing new forming skills, it is very clear that Pravin has hugely enjoyed all aspects of his time at JC Metalworks, stating “I’ve had a great 10 years, every day I had fun and made memories”. When asked to describe his time with the company in 3 words, Pravin tells us “hard work” and “achievement” define his time with JC Metalworks, and he is thankful to all staff and management for being a part of his journey. 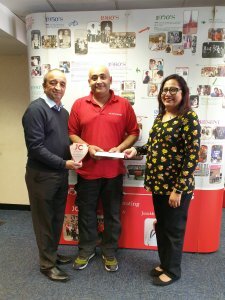 Pravin’s hopes for the future are for JC Metalworks’ profits to continue to rise, and for himself to further develop and move into new roles and responsibilities within the company. 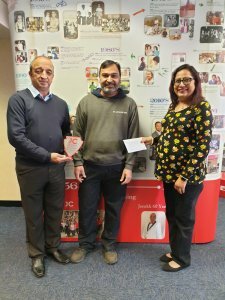 On behalf of the whole team here at JC Metalworks, we’d like to thank Pravin for his 10 years of outstanding service, and wish him the best luck for the years ahead. Keshu Kuchhadiya began his journey at JC Metalworks in 2006 as a Machine Operative, and has since moved through the ranks into the role of Team Support within the assembly department. He is married with 3 children, and in his spare time enjoys travelling, good cuisine, and spending time with his family. Keshu’s personal highlights from his 10 years at JC Metalworks include “being part of a team, working on different projects, and meeting deadlines”. 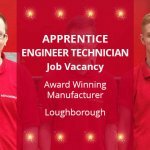 He is keen to keep on progressing in his career with JC Metalworks and continue improving his skills. 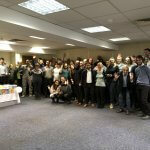 His advice for any new starters who are aiming for the same level of success is that “you have to be a good team player, work hard, be punctual, and be positive”. 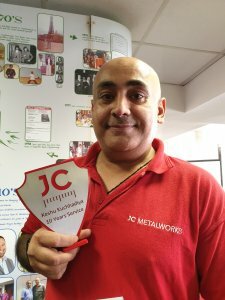 Keshu has very much enjoyed his time with the company; when asked to describe his time at JC Metalworks in 3 words, Keshu stated that “interesting, challenging and rewarding” would be the best way to describe his 10 years with the business. 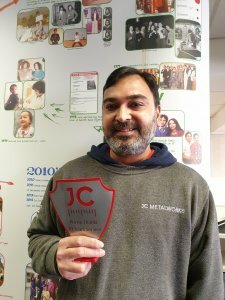 On behalf of all of us at JC Metalworks, we’d like to thank Keshu for all his hard work and dedication over the last 10 years and wish him luck as he continues to grow with the business.